Prime will premiere the 2013 stand-up documentary, The Improv: 50 Years Behind The Brick Wall, on December 19. 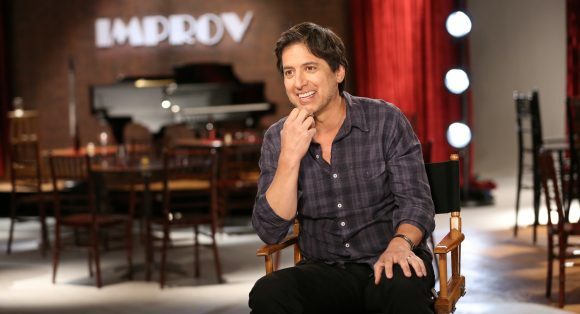 It features the likes of Jerry Seinfeld, Ray Romano, Jay Leno, Bill Maher, Judd Apatow, Larry David and Jimmy Fallon reminiscing about their big breaks in America’s first comedy club, The Improv. “This new documentary on 50 years of comedy will leave viewers mesmerised by the talent that crossed the club’s bare stag,” the NY Daily News predicted. Among the “10 things” the Wall Street Journal learned from the doco was that stage time was limited. Leno recalls how comedians arrived early and even slept in a nearby alley to get spots. 50 Years will be preceded by Simply Nigella Christmas Special while airing in HD 8.30 on December 23 will be the Edinburgh Military Tattoo from Melbourne. Ending their HD runs that week on Prime will be MasterChef USA, Nightwatch, Legends, The Murder Detectives and 11.22.63 while returning for a 7.00 weeknight strip from December 19 will be season seven of Modern Family. The final 60 Minutes of the year (8.30 Monday) interviews an American who was recruited by Islamic State as a teenager, asks what’s being done to combat the spread of the Zika virusin the United States, and profiles Bruno Mars.